Kick Butts Day is a national day of activism that empowers youth to stand out, speak up and seize control against Big Tobacco. The next Kick Butts Day is March 21, 2018. We're expecting more than 1,000 events in schools and communities across the United States and even around the world. To learn more about Kick Butts Day or the Campaign for Tobacco Free Kids click here. During the week of March 21st, local Reality Check youth from Pittsford Mendon/Sutherland and Eastridge High School spoke out and stood up to the tobacco industry in an effort to end tobacco use once and for all. Their efforts were part of national Kick Butts Day which is held on March 21st. They joined youth from around the country to voice their concerns about tobacco marketing and the impact it has on their community. 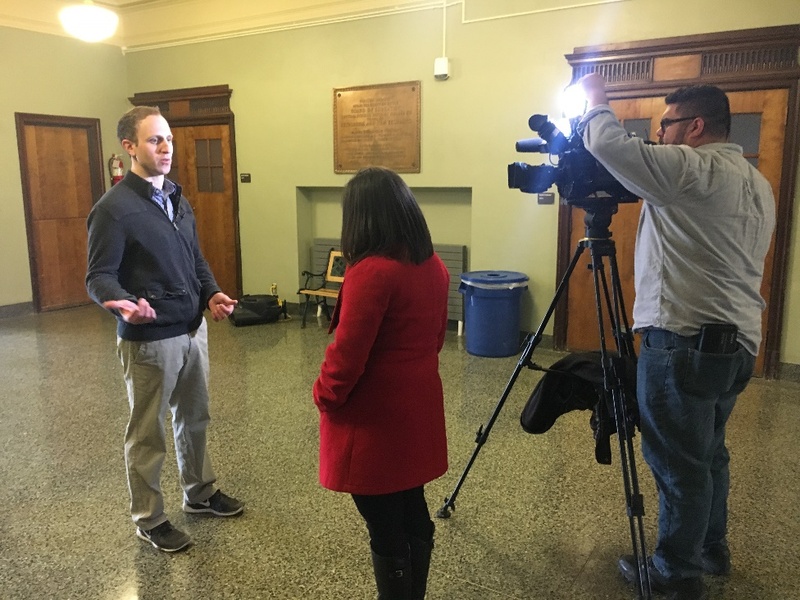 “Tobacco use is still a big problem in New York State and we want this generation to be the one that ends it”, said Joseph Potter, Reality Check Youth Coordinator for Monroe County. “We know that tobacco marketing at retail locations is a primary cause of youth smoking and we’re asking for help from our community leaders to join with us and declare ‘Enough Is Enough’”. Reality Check Members tabled, spreading awareness about this national tobacco holiday, along with important facts during their lunch periods during the week of March 21st. Members created signs for Kick Butts Day with the hash tag #NotAReplacement and then hung them and took pictures to upload to social media, all while hosting a giant Jeopardy game in the lunchroom. 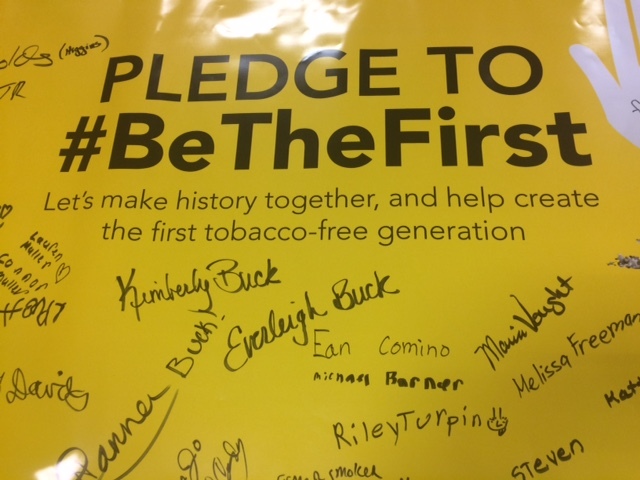 Fonda-Fultonville Middle School RC youth pledged to #BeTheFirst tobacco-free generation for Kick Butts Day. For Kick Butts Day on March 23rd, a table was set up to educate families and children about smoking depicted in the movies and tobacco marketing at the Mental Health Awareness Event held at the Troy Boys & Girls Club in Rensselaer County.